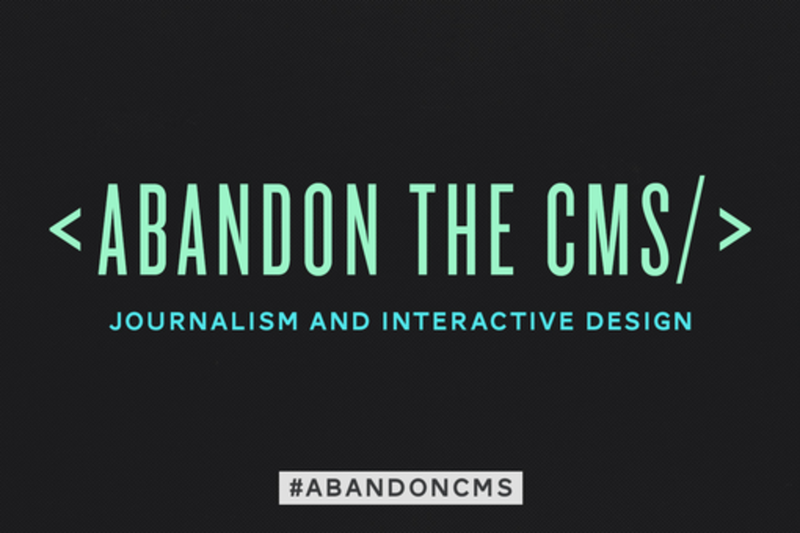 In "Abandon the CMS," we'll examine the flexibility to move beyond a web-based CMS to execute content with print layout tenets while also folding in interactive abilities, and ask, "what's next?" in interactive design and journalism. We will also discuss and show examples of excellent interactive design in an effort to explain why they help bring great stories to people who might otherwise ignore them.